* Zenzero, Camps Bay: 2 courses R160; 3 courses R200. Lamb shank R129, T-bone steak R119, rump steak R95, canneloni ragu R99, beer battered fish R99, prawn platter R139, and seafood platter R169. Tel (021) 438-0007 (added 1/5/15). * I ♥ my Laundry, Buitengracht Street/Buitenkant Street/Bree Street: 8 pieces of Dim Sum R40. Daily 7h00 – 19h00. Fondue Thursdays R125. Tel 084 6600 777 (added 1/5/15). * Andiamo, old Cape Quarter, De Waterkant: pizza or pasta at R99 on Sundays – Wednesdays. Tel (021) 421-3687 (added 1/5/15). * Ryan’s Kitchen: 5 courses R490 (R690 with wines). Tel (021) 876-4598 (added 1/5/15). * Maison: closed from 31 May. Wine tastings and limited Deli menu from 1 July; restaurant re-opens on 1 August. 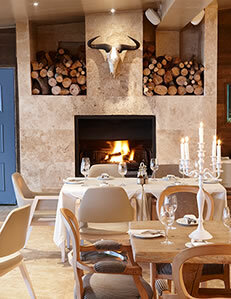 * Reuben’s Franschhoek closed on Tuesdays all day and Wednesday Lunch, in June and July. * Anthonij Rupert Wines closes between 24 June and 1 July. * Terroir: closed from 29 June to 14 July. * The Restaurant at Newton Johnson: no dinners between May – September. Closed 11 – 19 May, 1 – 14 July. * Shimmy Beach Club: closed from 1 – 31 July. * Aubergine: closed from 10 – 20 July. * Catharina’s at Steenbereg: closed between 13 – 17 July. * Bistro Sixteen82 at Steenberg: closed between 1 – 31 August. POSTSCRIPT 14/5: We are flattered that Eat Out has used the Cape Town and Winelands sections of our Restaurant Winter Specials List as its inspiration in compiling their list, two weeks after we posted our List! Please note: This list belongs to us, and permission must be requested to copy or post it elsewhere. We wish you wonderful eating and enjoyment.